I was a student of Daniel and Relson Gracie Jiu-Jitsu for over a year and have benefited greatly from frequent and diligent training. You too may accrue these benefits by joining this academy. Firstly, credit must be given to the art form and its founders. Training Brazilian Jiu-Jitsu gives one calmness and a unique peace of mind that permeates other aspects of life, particularly stressful situations. It allows for patient, level-headed thought in the most extreme circumstances. Practicing also helps one develop a useful life skill and a novel understanding of your body and body mechanics. BJJ has naturally enhanced my overall strength and fitness such that missing or opting out of traditional workouts has never rendered me out of shape or unfit. I can attest to meeting and training with fellow practitioners who have lost substantial amounts of weight and gained optimum fitness simply by regularly hitting the mats. Training Jiu-Jitsu has also allowed me (as it will to you) to engage with individuals from all ages and walks of life, who you may never have engaged with otherwise. This is unique among traditional extracurricular activities among groups. Daniel, my coach and friend, has always been open, humble and sincere; qualities which I believe make a good teacher. As a seasoned, elite US veteran, he uniquely brings the coupling of battlefield-tested self-defense with practical Jiu-Jitsu. Training at his gym with other veterans, law enforcement officers etc., has been valuable for my foundational self defense skills. Daniel strives the pure street practical Gracie Jiu-Jitsu developed from the source. I have fond memories of days strikes are included, and we analyzed the practicality of BJJ in real life; exploring of the nuances practitioners must be mindful of in non training/competition encounters. 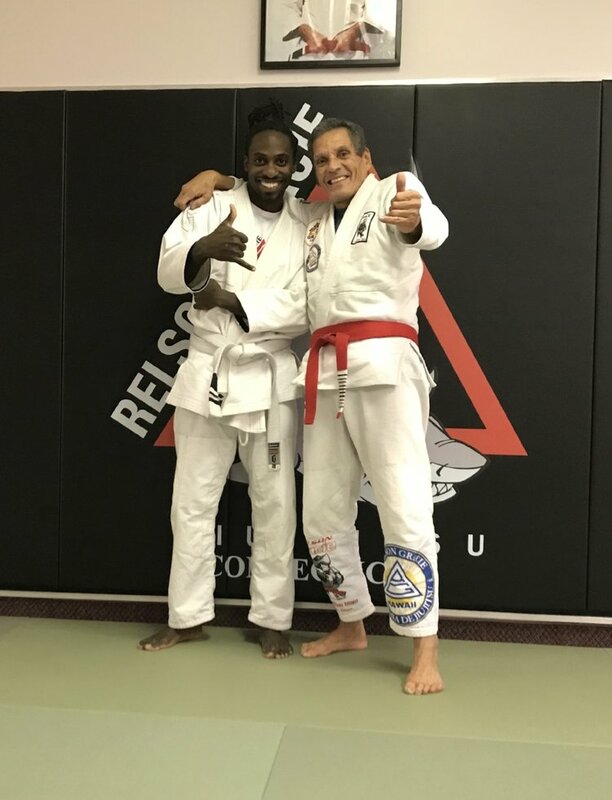 Daniel‘s lineage to BJJ founder and 130-pounder Helio Gracie is through Phil Cardella and Helios’ second-oldest son, Relson, both of whom I was honored and privileged to have met and learned from. Training with Daniel allows for these unique fine tuning/enhancing experiences. Your skills will grow immensely developing from the source of the craft that was and remains so practical. Daniel also has extensive years and experience as a competitive wrestler, a fact that is manifest in the high quality and uniqueness of the wrestling take-downs that we trained and one learns at Relson Gracie BJJ CT.
As a father of a daughter I cannot always shelter, I researched and joined Jiu-Jitsu over a year ago and am fully satisfied with the self-defense skills I have acquired and the path I am on related to ensuring the safety of my family while enjoying the experience. Having played sports a lot I have found BJJ to be the ultimate sport one can try, in the purest form of one-on-one competition; pushing life and limb to the edge and then safely, with a surprisingly light-hearted crew, trying and growing again. You will gain skills to defend yourself before being touched (imagine that!) and for a few hours each day you will be quarantined from the stresses and bad news that can frequently arise in this world, returning tension free with a coolness that has permanence. Try it out! In closing, I think it’s safe to say that Osei made just as much of an impression on all of us as we did on him, with a great sense of humor, infectious laugh, and near-constant presence on the mats, whether at the academy or in a competition setting. Osei, we miss you and hope you’re doing well in Boston. Keep on training!